Romania is currently a leading seed producer of cereals in the European Union. The seed market, dominated by a few corporations, has become a vicious factor that accelerates the loss of agrobiodiversity and food sovereignty. In the context of the European Seed Legislation Reform, Eco Ruralis takes a closer look at the current trends of seed production in Romania. June, 2012 – Bucharest. 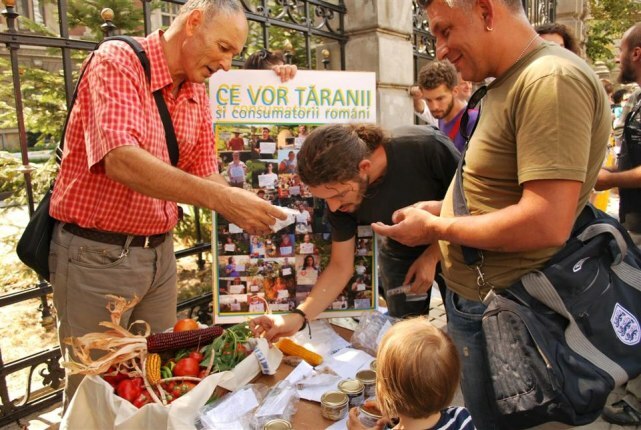 Seed exchange & Protest in front of the Romanian Ministry for Agriculture. Eco Ruralis. 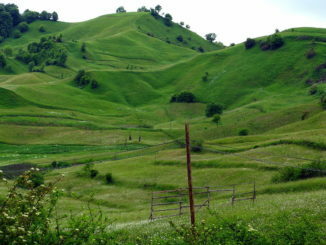 The majority of Romanian cereal seeds are produced in large fertile Southern plains and close to the Danube River, as well as in the area of Iasi in the Northeast. Historically, until the ’90s, the seed amelioration was mainly carried out by the numerous public research institutions. Out of the reported 6,775 actors active in the seed sector, as identified by the INCS (National Inspection for Quality of Seeds), more than half are only sellers. Few of them are breeders, the majority being seed growers; major seed production and processing plants also stand out in the INCS’ list. The seed selection is mainly taken over by the giants of the seed market, some European companies and public research institutes. Two of the main crops: wheat and corn, give us a more clear perspective of how the seed market is organized in Romania. Romania and France are the two main producers of wheat seeds in the EU, each had ~80,000 ha cultivated for seed multiplication in 2013. Common wheat is the most cultivated species in Romania for seed production. Romania’s wheat seeds are not export-oriented, they are mainly designated for the domestic market; exports account for less than 5% of seed production. The amelioration of wheat seeds in Romania seems controlled by public research institutes. It turns out that currently 69% of the quantity of wheat seeds produced in the country comes from varieties developed by these institutes. The seed industry has not managed so far to produce hybrids or high-yield varieties of wheat to rule the market. Unlike maize, it is very difficult to create hybrid varieties of wheat. This allows farmers to multiply wheat themselves, outside of corporate or governmental influence. The official European catalog allows the cultivation of over 2,000 varieties of wheat on European territory. But from these 2,000, only 2 varieties account for 50% of the total production of wheat seeds in Romania. Although there are sown seeds coming from other sources in Romania, such as farmer varieties (farmer-saved seeds) and imported varieties, the low genetic diversity of cultivated wheat is very alarming. Wheat varieties are becoming less and less resilient to climate hazards and more susceptible to diseases. 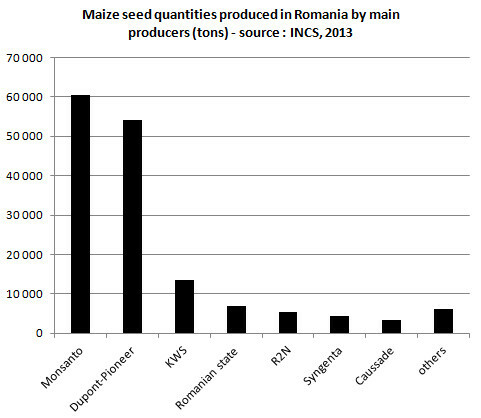 Maize seed quantities produced in Romania, by main producers (tons) – source Romanian National Inspectorate for Quality of Seeds – INCS 2013: Monsanto: 60571, Dupont-Pioneer: 54080, KWS: 13515, Romanian state: 6889, R2N: 5362, Syngenta: 4244, Caussade: 3305, others: 6147. Romania is the second leading EU producer of corn seeds accounting for 21% of the production, only trailing France which controls 50% of the market. The giants of the seed industry are increasingly present in the production of corn seeds. Monsanto finalized in 2013, a $32 million investment for the expansion of its seed processing plant in Sinesti – a southern part of Romania. The plant can now process more than 30,000 tons of hybrid corn seeds each year. 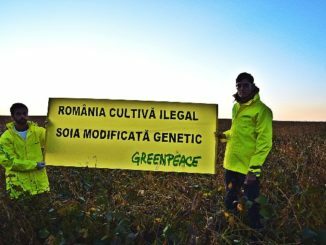 In 2013, 74% of the Romanian production of corn seeds came from Monsanto and Dupont-Pioneer, two of the largest seed companies in the world. Nearly half of the annual production of corn seeds is exported; over 70,000 tons in 2013. In terms of value, 56% of exports in 2013 were destined for the Russian and Ukrainian markets. Overall, the Romanian seed market, especially for cereals, is growing. 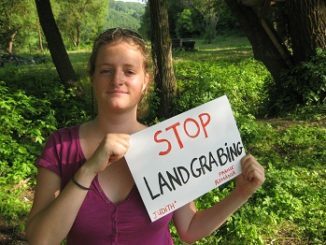 The large multinational sector monopolizes the market reducing the number of small seed companies and actively contributing to the erosion of agricultural biodiversity. Let’s not forget that traditional agriculture is still vividly present in Romania and over 4 million peasants continue to improve it and freely share their own seeds.